Home » Will Solar Panels Work in the Shade? Will My Solar Panels Produce Electricity on Cloudy Days? Solar panels transform sunlight into electricity through a phenomenon called the photoelectric effect. This phenomenon basically consists of small particles contained inside sunlight known as photons that impact the surface of the solar panel and release electrons which then produce a current flow, and therefore, electricity. However, when sunlight is reduced by partial shades (created by trees or other objects), the solar panel cannot keep producing electricity. Or, can it? To answer this question we must dig further into the impact of shadings on solar radiation, the components of the solar panels, and how they work when shades are present. The second component is known as Diffused Horizontal Irradiance (DHI). This concept is related to all the solar radiation that was reflected by clouds, lakes, or mountains that indirectly impact the solar panels. The image below can better express how these two factors reach the solar panel. There are two main types of shadings. One type is called far-shadings and the other type is called near-shadings. Far-shadings (also called horizon shadings) refer to the losses in solar radiation due to shadings caused by large objects like mountains, valleys or high buildings. Far-shadings are quantified as losses in DHI. Near shadings are nearby objects such as trees, walls, chimneys, antennas, houses, or other modules that cause shadings on the solar panel. These are quantified as losses in DNI and are the most significant ones. Clouds reduce the amount of sunlight, but they specifically reduce the direct component of solar radiation. 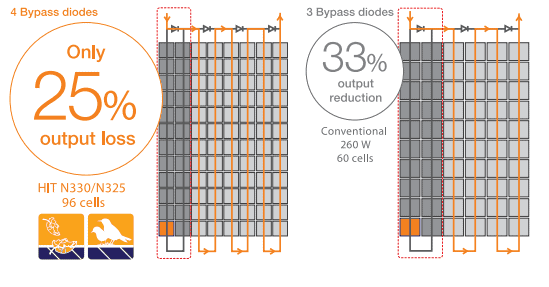 Based on the concepts that we described before, they radically reduce the amount of DNI that reaches your solar panels. However, despite the cloudy day, we can still see sunlight, right? That is because the DHI component is still present on cloudy days. Therefore, your solar panels will still produce electricity using the DHI component of solar radiation. The only difference is that they will indeed produce less electricity than on sunny days. 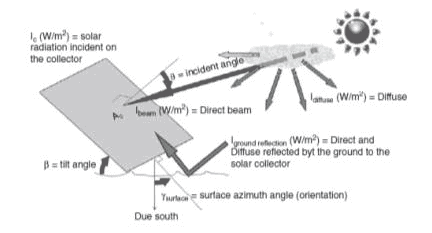 Once an object causes shades in a solar panel, the effect reduces the power output of the whole string (set of solar panels configured in series) because the obstruction reduces the amount of photons that can be absorbed by the module. At the same time, if a solar panel is partially shaded then the current is reduced. Now, if we have a string of modules and one of them is partially shaded, then the whole string must reduce its current or power output because they are configured in series. That is a physics law that unfortunately cannot be avoided. Now, what exactly happens when a module is shaded? In order to maximize the energy output in the presence of shades, solar panel manufacturers decided to include bypass diodes in the junction box (located in the rear side of the module). Bypass diodes are electronic devices that will act whenever there are partial shadings in a module. With the bypass diodes included, the partially shaded module will still produce electricity, just in a lower amount. Since bypass diodes can be expensive, solar panel manufacturers tend to group a set of cells to a single bypass diode and place three bypass diodes on the junction box of the panel. Source: A.Luque y S.Hegedus. “Handbook of Photovoltaic Science and Engineering”. On the other hand, if one solar panel in a string of modules is partially shaded, then the bypass diodes will act to allow the current flow from the other modules according to the maximum current that the shaded module can produce. Moreover, bypass diodes also help to avoid the presence of hot spots that can severely damage the solar panels. Bypass diodes mitigate the impact of near-shadings on solar panels and allow them to keep producing electricity in the presence of shades. However, near-shadings are still completely undesirable for the performance of a PV system. That is why your solar installer must design the system appropriately to reduce the impact of shadings, and he/she must quantify the shading losses to be lower than 10% annually in simulation programs. 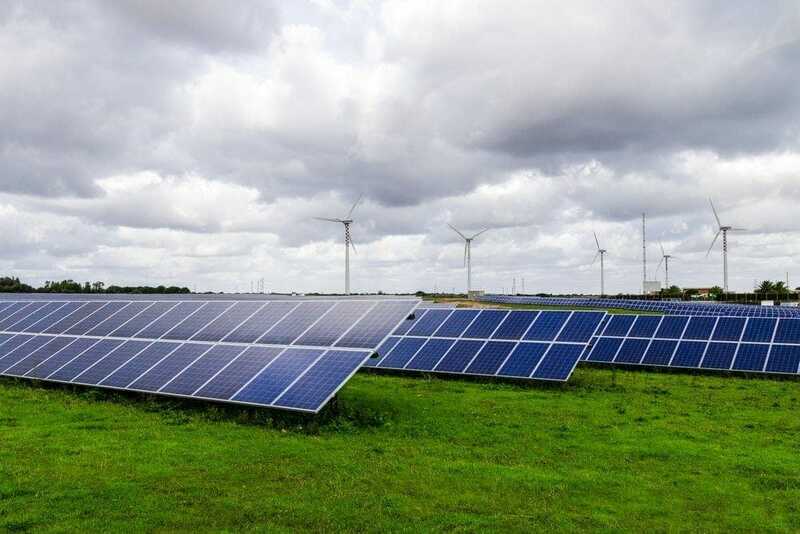 The first and maybe most reliable ones for shading scenarios are the module-level power electronics (MLPE) such as microinverters from Enphase, DC power optimizers from SolarEdge, or Tigo Energy where power optimization in every module is independent. In other words, shadings on one panel do not affect the others. Another factor that must be taken into account when shadings are present on the solar array is the maximum power point (MPP) tracking. When solar panels are shaded, the I/V curve of the string loses its regular shape and two maximum power points appear in the curve: Global MPP and Local MPP. Source: SMA OptiTrac Global Peak. As you can see on the graph above, LMPP is lower than GMPP. 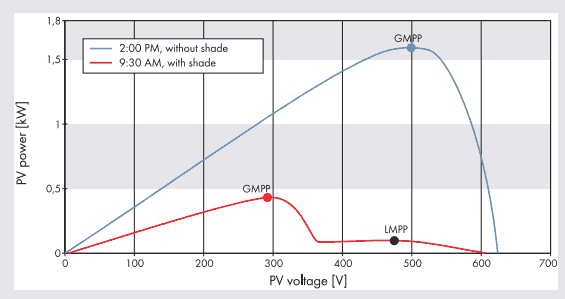 Regular inverters could choose the LMPP as the maximum operating point of the curve because their search range is limited. However, remarkable solutions from inverter companies like SMA and Fronius maximize the power output of the array in the presence of shades by selecting the operation point at GMPP, thanks to the SMA OptiTrac Global Peak feature and the Dynamic Peak Manager form Fronius. Another interesting solution that allows maximizing energy production in the presence of shades is the solar panel design from Panasonic. The Panasonic HIT N330/N325 modules are the only ones in the industry that incorporate 4 bypass diodes. This allows reducing the number of solar cells that could unnecessarily lose production in the presence of shades, and it also maximizes the energy that the other non-shaded modules can produce as well. A.Walker. “Solar Energy: Technologies and Project Delivery for Buildings”. John Wiley & Sons, 2013. A.Luque y S.Hegedus. “Handbook of Photovoltaic Science and Engineering”. John Wiley & Sons, Reino Unido, 2011.